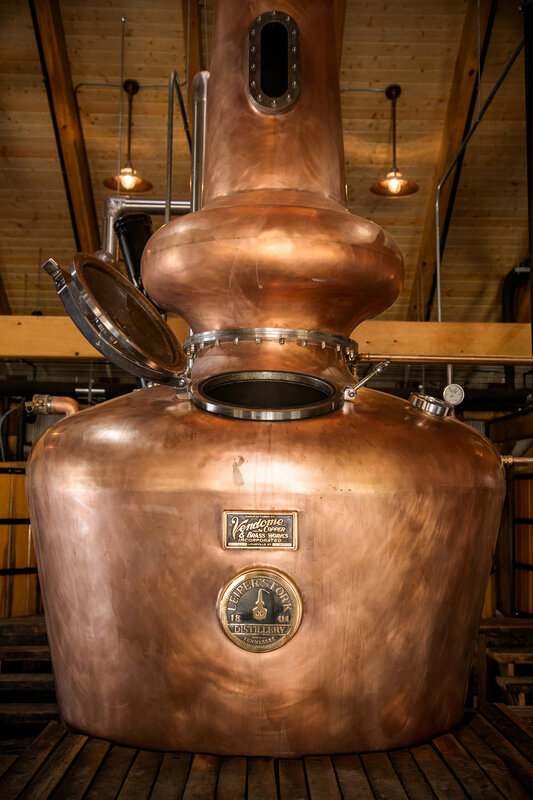 Leiper's Fork Distillery will open July 16. There is a gleam in Lee Kennedy’s eyes. As he sits inside his 5,000-square-foot still house off Southall Road on a warm March morning, he is just a few weeks away from what is both the opening of a new business and the culmination of a nearly lifelong dream. The beam from his face comes honestly. Kennedy, once a buttoned-down owner of a financial services company who is now sporting shoulder-length hair and a full-fledged beard tinted with gray, is on the cusp of making whiskey for a living. With the help of family, friends and neighbors, he is soon to open the Leiper’s Fork Distillery and produce three distinctive types of spirits – bourbon, Tennessee whiskey and Tennessee rye whiskey. He’s the veritable kid in a candy store, only he’s approaching 40 and the “candy” he’s awaiting will have something of a kick to it.